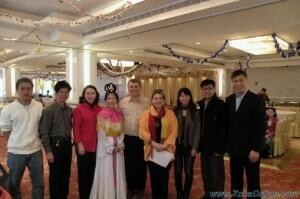 Families with Children from China New York (FCC) held a New Year Party at Queens Crossing in Flushing. More than 60 American families from New York, New Jersey, Connecticut came to communicate their experience on adoption. The organizations in society donated 50 fans and some thermos cups to the children and gave thanks to their adoptive parents. 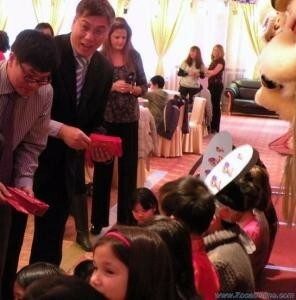 The president of ZCCA Mr. Dai gave candies and red packets to the children as their best wishes. This is the third time for holding such an activity. As the principal of Families with Children from China LI Chinese School which is a branch of FCC, Liman Guo suggested there are about 70 thousand adoptive families in the U.S and about 3000 adoptive families in New York, New Jersey, and Connecticut. She and FCC will do donations to Chinese orphanage regularly.